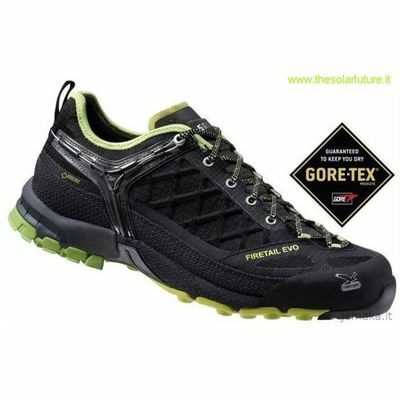 Employing a unique design concept that offers flex, fit and support along with a multi-fit footbed system and a waterproof GORE-TEX upper, the Salewa Men’s Firetail EVO GTX trail shoe offers technical performance and lightweight comfort for day hikes, scrambling and approach hikes. A synthetic upper made from micromesh and armored mesh offers excellent durability and a GORE-TEX lining keeps your feet dry on soggy trails. A 360-degree Aramidic rubber rand increases foot protection on rough and rocky surfaces. 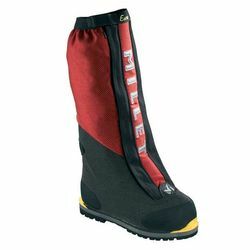 A unique footbed allows adjustment of the fit through Salewa's Multi-Fit foot bed system. The bottom layer can be easily removed from this two-part foot bed to increase the volume within the shoe for wider feet or left intact for medium to lower volume feet. An EVA midsole and heel shock absorber dampen downhill impact and the Vibram Tech Approach sticky rubber outsole delivers sure footing on rocky surfaces.